Committed to our community since 1922! 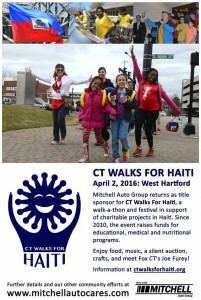 Mitchell Auto Group returns as the title sponsor for CT Walks for Haiti on April 2, a walk-a-thon and festival in support of charitable projects in Haiti. 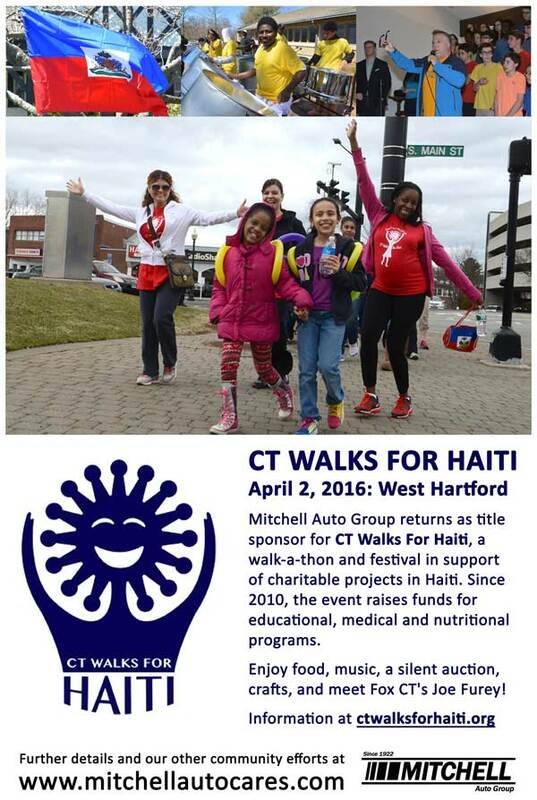 Since 2010 the event raises funds for educational medical and nutritional programs. Do you have an organization or event that you'd like the Mitchell Auto Group to be a part of, sponsor, or help promote? Contact our Director of Community Partnership Development, Jill Mitchell Gettinger, via email at jmitchell@mitchellautogroup.com, and we'll be happy to discuss the details with you!